More good news for animal lovers! 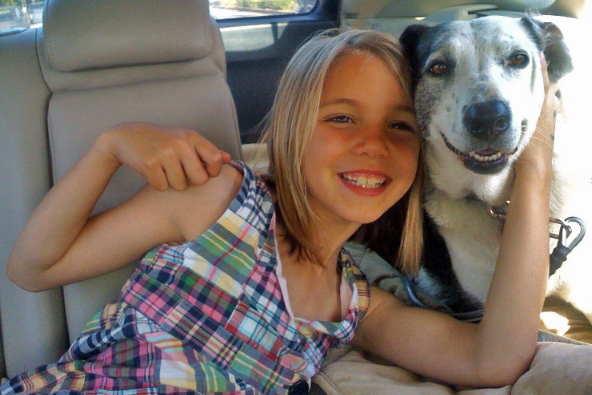 A recent study on the effects of exposure to dogs and farm animals on childhood asthma was just published in JAMA Pediatrics. The article is entitled Early Exposure to Dogs and Farm Animals and the Risk of Childhood Asthma by T. Fall, C. Lundholm, A.K. Ã–rtqvist, K. Fall, F. Fang, Ã…. Hedhammar, O. KÃ¤mpe, E. Ingelsson, C. Almqvist. Design, Setting and Participants In a nationwide cohort study, the association between early exposure to dogs and farm animals and the risk of asthma was evaluated and included all children born in Sweden from January 1, 2001, to December 31, 2010 (Nâ€‰=â€‰1â€¯011â€¯051), using registry data on dog and farm registration, asthma medication, diagnosis, and confounders for parents and their children. The association was assessed as the odds ratio (OR) for a current diagnosis of asthma at age 6 years for school-aged children and as the hazard ratio (HR) for incident asthma at ages 1 to 5 years for preschool-aged children. Data were analyzed from January 1, 2007, to September 30, 2012. Results Of the 1â€¯011â€¯051 children born during the study period, 376â€¯638 preschool-aged (53â€¯460 [14.2%] exposed to dogs and 1729 [0.5%] exposed to farm animals) and 276â€¯298 school-aged children (22â€¯629 [8.2%] exposed to dogs and 958 [0.3%] exposed to farm animals) were included in the analyses. 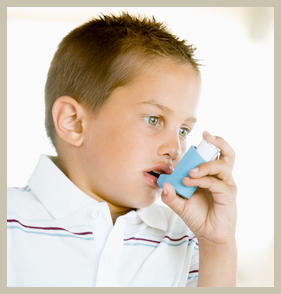 Of these, 18â€¯799 children (5.0%) in the preschool-aged children’s cohort experienced an asthmatic event before baseline, and 28â€¯511 cases of asthma and 906â€¯071 years at risk were recorded during follow-up (incidence rate, 3.1 cases per 1000 years at risk). In the school-aged children’s cohort, 11â€¯585 children (4.2%) experienced an asthmatic event during the seventh year of life. Dog exposure during the first year of life was associated with a decreased risk of asthma in school-aged children (OR, 0.87; 95% CI, 0.81-0.93) and in preschool-aged children 3 years or older (HR, 0.90; 95% CI, 0.83-0.99) but not in children younger than 3 years (HR, 1.03; 95% CI, 1.00-1.07). Results were comparable when analyzing only first-born children. Farm animal exposure was associated with a reduced risk of asthma in both school-aged children and preschool-aged children (OR, 0.48; 95% CI, 0.31-0.76, and HR, 0.69; 95% CI, 0.56-0.84), respectively.